You have a great idea. Now what? Whether it's a short story, novel, comic, or screenplay, storytelling is about so much more than the idea. 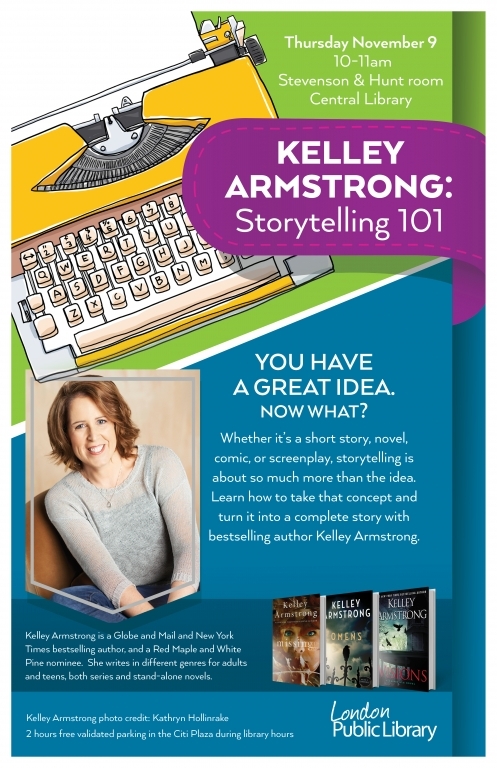 Learn how to take that concept and turn it into a complete story with bestselling author Kelley Armstrong. Storytelling 101: Thursday November 9th, 10-11am at the Central Library. If you are sad that your letter from Hogwarts never arrived, then never fear: Hex Hall accepts anyone.